It’s the last Monday of May and guess what? 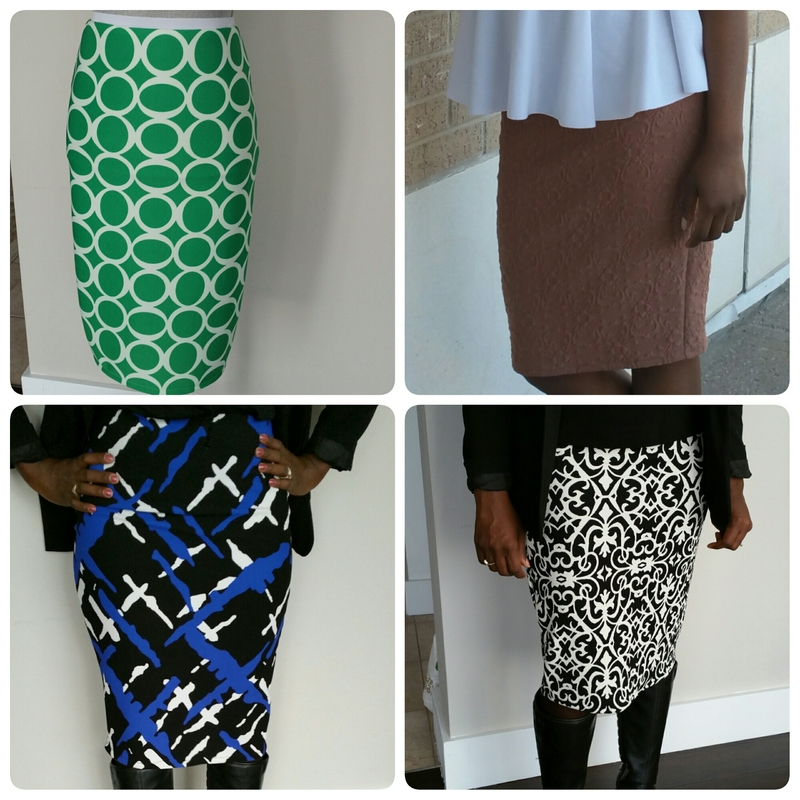 The final piece on the Style Monday articles is here! We have covered quite a bit these past Mondays. It’s only fair to end on a next step look and to bring everything into focus. Not only would you have gained some added tips and maybe even made some decisions about your next closet decision and are ready to create a wardrobe that works for you. The Build is and should be focused on creating a closet that works for you. Wardrobe pieces that compliment each other and define YOUR unique style. I am still very much in the process of revamping , renewing and adding those pieces into my closet. Looking at the silhouettes I love and the pieces that compliment my shape and stature. Here is an example of a key staple that I can transition with across the season and have incorporated into my closet:The Pencil Skirt. These are perfect with a shirt or blouse, heels, boots,tights, stockings etc. Below shows you some funky prints I have made too. Thanks for tuning in to this little series. It’s really been a pleasure to do this and most of all it allowed me to commit to providing you weekly with a blog post. ( Good practice right..:)). Thanks for your contributions to the posts too. I have been sewing in between blogs so I have much to share on those too. Next postI am no Swimmer!